The fluorescence imaging capability adds an additional level of confidence as researchers use an optional fluorescence viability stain to track their cells. The software can automatically perform cell count analysis on the fluorescence images, making it easy to identify wells that contain a single cell. Shown here is the confluence percentage of cells growing in each well of a 96-well microplate. With the ease of a few clicks, the Monoclonality Report feature organizes objective, quantitative, and qualitative data in an easily shareable report, enabling the presentation of image evidence needed to assure a high probability of clonality. 1. Save time and effort by reviewing wells that contain only a single colony with the intelligent “Loci of growth” function. Instead of inspecting every single well in the plate, the “Loci of growth” function in the CloneSelect Imager software pinpoints wells that contain only 1 single colony, so users can save time and effort by only reviewing those wells. 2. Growth (image) history of each well can be tracked back to its starting point—providing evidence of monoclonality. 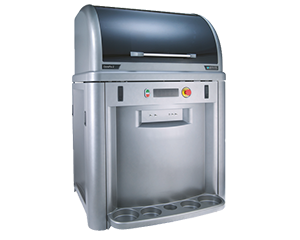 After screening and selecting colonies of interest, the CloneSelect Imager can monitor and evaluate subsequent colony outgrowth and productivity of the selected cell lines. The CloneSelect Imager can also estimate the number of cells per well. Data is then exported to enable normalization of results from ELISA or cell-based assays against cell number. Save time by analyzing selected wells (highlighted in green). CloneSelect Imager offers several benefits over traditional MTT assays for assessing cell viability in response to a cytotoxic challenge. 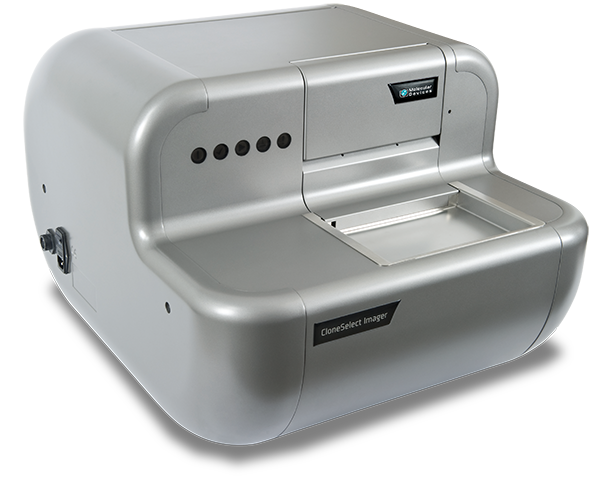 CloneSelect Imager offers rapid, objective quantification of cell migration assays. We offer 3 different models to suit your needs and budget. 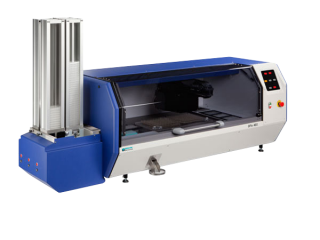 *Download the specifications in the CloneSelect Imager brochure here. API suite available for robotic integration. Please contact us for details. Accurate non-invasive image-based cytotoxicity assays for cultured cells. Marqués-Gallego P, den Dulk H, Backendorf C, Brouwer J, Reedijk J, Burke JF. BMC Biotechnol. 2010 Jun 17;10:43. doi: 10.1186/1472-6750-10-43. 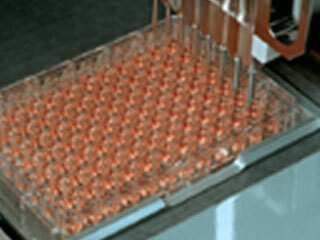 Rapid Cell Line Development with Integrated Protein Analysis Clarke H.
Bioprocess International. 2010 Jul; 8:7.